US President says "erratic" behavior of former President Obama's former CIA chief reason for revoking his security clearance. 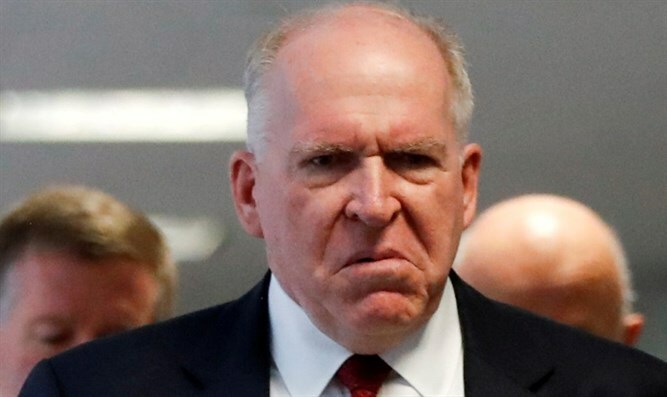 US President Donald Trump removed the security clearance of John Brennan, who was the director of the CIA under President Barack Obama. The decision was made, according to Trump, because of Brennan's unpredictable and unstable behavior. White House Press Secretary Sarah Huckabee Sanders said that Brennan's clearance was revoked because of his "erratic conduct and behavior" and "history that calls into question his objectivity and credibility." Last month, the White House threatened to remove the security clearance of Brennan and two other former senior officials from Obama's time: Susan Rice, former national security adviser, and James Clapper, who served as head of national intelligence. The three men are often interviewed and promote the argument that Trump colluded in some manner with Russia in order to sway the presidential election in 2016. In the United States, former security, intelligence, diplomacy, and law enforcement officials usually maintain their security clearance even after they resign, so that they can continue to advise those in power. In addition, the classification enables former officials to receive work in the private sector, in companies or in research institutes dealing with security, policy, etc. Removing their security classification can undermine their ability to serve as advisers and lobbyists in Washington.